Empowering security with technology ! Based out in Chhattisgarh, Samtab is the nascent company providing software solutions to corporate. With Sjain onboard, they aimed to develop a software which will serve as full-fledged security management system for housing corporations, societies and corporate. To collect the data about the features to be integrated in the software. Preparing a framework which logs entry/exit, store data, keep real-time tracking along with other necessary security details. Developing an application which can be operated easily by the staff without much training. Making sure that the application is available to be installed by different users. User-friendly and technologically advanced software application was developed keeping in mind the privacy of data of the residents and users. Features such as ‘instant security alert’, ‘e-intercom’, ‘guest pre-authentication’ and ‘visitor real-time tracking’ were integrated into the application. As the data and visiting logs of visitors, maids, deliveryman, laundryman, etc is saved in the database of application, this helps the residents to track, manage and hire house-help if required. The attendance module was integrated with biometrics so as avoid proxy and access attendance record on fingers. Unique IDs to be provided to all residents and staff to enhance the overall security. With a team of extremely talented and highly dedicated developers, Sjain helped Samtab to transform an idea into reality. 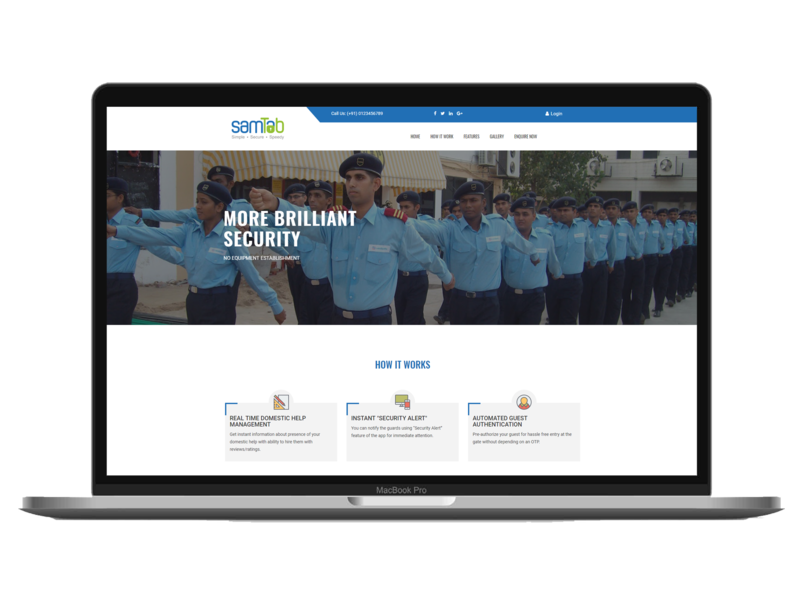 The Samtab security management application has helped many individuals feel that their families are safe and secure within their society.